Click on publishers' names for more information. Prunings, Cape Town: uHlanga Press. Strange Fruit, Cape Town: Modjaji Books. A Girl Walks into A Blind Date, London: Sphere Books; Johannesburg: Delta. A Girl Walks into A Wedding, London: Sphere Books; New York: William Morrow; Johannesburg: Delta. A Girl Walks into A Bar, London: Sphere Books; New York: William Morrow; Johannesburg: Delta. Seasons Come to Pass: A poetry anthology for Southern African students (3rd edition), Cape Town: Oxford University Press Southern Africa. Migrations: New Short Fiction from Africa (with Efemia Chela and Bongani Kona) eds. Cape Town: Short Story Day Africa. Stray: An Anthology of Animal Stories and Poems (with Diane Awerbuck) eds. Cape Town: Modjaji Books. Bob Woolmer on Batting (with Bob Woolmer and Tim Noakes). Cape Town: New Holland. Bob Woolmer on Bowling (with Bob Woolmer and Tim Noakes). Cape Town: New Holland. Bob Woolmer’s Art and Science of Cricket (with Bob Woolmer and Tim Noakes). Cape Town: Random House Struik. “A Failed Marriage: Feminism and the South African polity.” Chapter in Intellectual Traditions in South Africa: Ideas, Individuals and Institutions, ed. Peter Vale, Lawrence Hamilton and Estelle Prinsloo. Scottsville: University of KwaZulu-Natal Press. “Cricket, gender and intimations of mortality”. Chapter in Sport versus Art: A South African Contest, ed. Chris Thurman. Johannesburg: Wits University Press. “Sexual Violence, Civil Society and the New Constitution”. Chapter in Women’s Activism in South Africa, eds Hannah Britton, Jennifer Fish and Sheila Meintjes. Scottsville: University of KwaZulu-Natal Press. “Gender”. 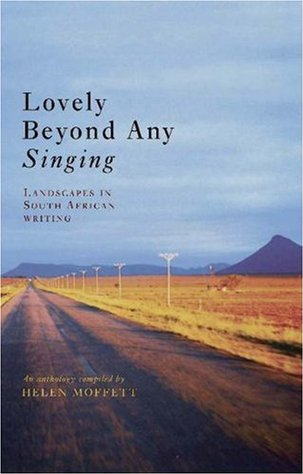 Essay in New South African Keywords, eds Nick Shepherd and Steven Robins. Johannesburg: Jacana and Ohio University Press. “Protecting the Invisible: the status of women refugees in Southern Africa”. (with Nahla Valji and Lee Anne de la Hunt). Chapter in Advancing Refugee Protection in South Africa, eds. Jeff Handmaker, Jonathan Klaaren and Lee Anne de la Hunt. New York: Berghahn. “Entering the Labyrinth: Coming to Grips with Gender Warzones, using South Africa as a Case Study”. Chapter in Partners in Change: Working with Men to end Gender-Based Violence, United Nations INSTRAW.